Hakuna Matata! What a wonderful phrase. Hakuna Matata! Ain’t no passing craze. It means no worries for the rest of your days. It’s our problem-free philosophy. Hakuna Matata! Does this catchy song ring a bell? Reminds you of a lion, a meerkat and a warthog happily singing in the jungle? Hakuna Matata was indeed a very popular song in the Waltz Disney movie of The Lion King. 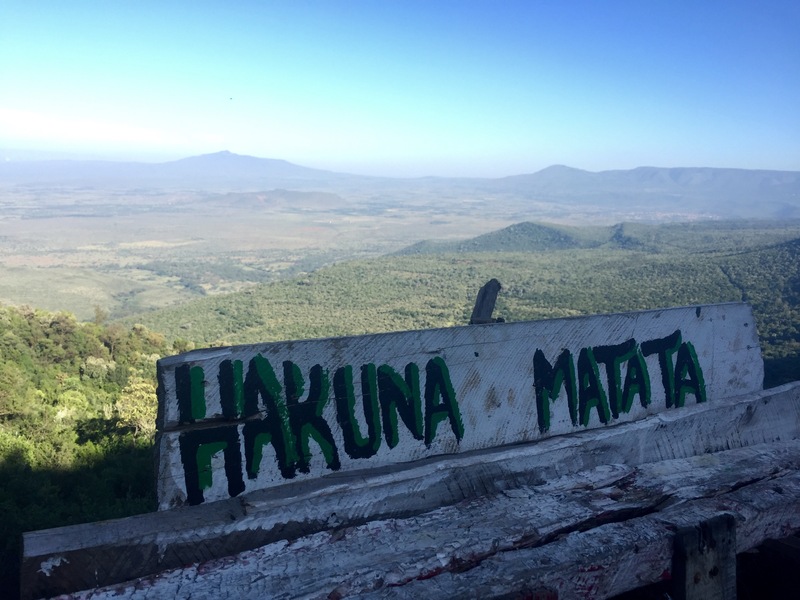 However, this wonderful phrase is actually an expression used across East Africa meaning ‘no worries’ in Swahili, describing the positive and easy-going African lifestyle. Well, this is exactly how I can recap my week on the heavenly island of Zanzibar. Zanzibar is an archipelago of 50 islands with a population of a 1.3 million, nestling in the tropical waters of the Indian Ocean. Unguja, the main island, is located 36km off the African East coast and 6 degrees from the Ecuador. Zanzibar is a semi-autonomous part of Tanzania, which means they still have their own President and government, and they deal with their own internal matters. Over the centuries, Zanzibar has been colonized and occupied by explorers, traders and settlers of several nationalities (Swahili, Persians, Arabs, Indians and Europeans) becoming today a small nation rich in history and culture. For decades, Zanzibar was mainly used as a slave-trading port until this practice was abolished in 1890. Today, the economy of Zanzibar relies on tourism and spices exportation (Zanzibar was once the world’s leading clove producer!). -My visit to a spice farm where my senses were highly stimulated. I got the chance to smell, taste and feel dozens of local spices including cinnamon, coffee, nutmeg, ginger and of course cloves. -I also had the privilege to pet and feed giant tortoises of over 200 years old in a sanctuary in Stone Town (the nation’s capital). -Finally, yes I did enjoy the pristine beaches on a daily basis, but a visit to Zanzibar would not have been complete without visiting the underwater world. Therefore, I spent my last day scuba diving, exploring the depths of the Indian Ocean where I spotted turtles, starfishes and massive schools of colourful fishes. It was the perfect Hakuna Matata type of holiday where I fully recharged my batteries before heading back to my ‘mommy’ role at Othandweni. It’s now time to make the most of my last moments with my little ones… 3 weeks before my big departure! Visiting the spice farm in style! Congrats on another well done post. Sounds like a wonderful visit to Zanzibar, such an exotic place. Enjoy your volunteer time with the children, I salute your generosity of time and love.